Kountry Wood Products is enthused to announce the addition of the “Rentown” door style to its existing product line. The “Rentown” is a transitional door style combining a wide Shaker rail with a traditional flat panel, mortise and tenon door. It is offered in full-overlay with two drawer front options: slab or upgraded 5-piece. 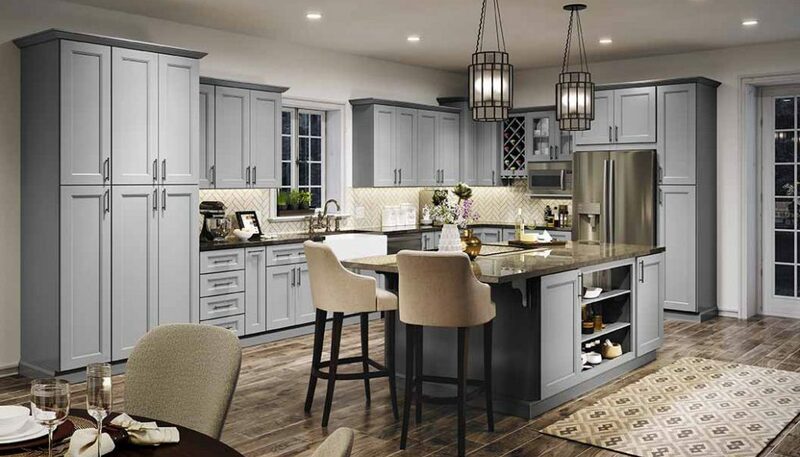 In addition the introduction of the “Flint” color option, which is a pre-catalyzed gray paint featuring a contemporary style popular in today’s design industry. The “Flint” color will be available on the new Rentown as well as on our existing door styles: Georgetown, Jamestown and Vanderburgh.